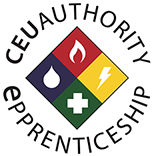 CEU Authority has emerged as one of the largest most streamlined CEU providers in the licensing jurisdictions of Iowa , Omaha , Nebraska, Wyoming, Wisconsin, South Dakota, Ohio, Idaho, Kentucky and Minnesota and Topeka. We currently serve the HVAC and Refrigeration , Plumbing , Hydronic and Electrical trades. Each of these Jurisdictions have their own individual licensing requirements. Where we separate ourselves is our unique understanding of how each of these licensing entities work and what they expect out of you as a license holder. We do all of the work for you. We provide as many options as allowable by the licensing jurisdictions for you to receive your CEUs and we make sure that each person in each class is reported to the licensing entity and that they leave each class with a certificate with all of the course information as proof of their attendance. We also have the ability for you to log in and see all of your classes that you have taken with us and even reprint your certificate without any additional input from us. Of course we are always available to help if you need it. Want to train for us? Hey John. I just wanted to thank you for the great instruction you gave us during class. I took my Journeyman exam yesterday and scored a 93. Everything you taught us was spot on and had me more than well prepared for the test. Just wanted to say thanks and I appreciate it! Jack did a great job keeping the classes moving and educational. I thought the instructor, was very interesting to listen to. He was right to the point touched on areas of importance not wasting time. Had one issue myself and another person on the sign up procedure, but the instructor took care of it right away, all and all it was a good. I found the class very informational and the instructor was amazing he really knew how to keep all of us interested in the training session. The class went well! Jack did a good job of keeping things interesting with his sense of humor and practical job experience! The class was excellent. I attend these classes for other states and rarely get any useful knowledge out of them. This class was different. Jack is an excellent instructor and mixes actual experience into the lesson plan to help us get some good information. I look forward to taking the class again in the future. I also want to thank you for catching that I was signed up for the wrong classes for my license and subsequently changing the venue and classes for me. That shows that you folks at CEU Authority are looking out for our best interest and getting us the best value for our money. I really appreciate your assistance with getting classes arranged and making it EASY! The instructor did a great job of keeping people interested in the material and ran a great class. Probably the best CEU courses that I have taken. I look forward to working with you along the way for my next renewal. Thanks again! -I really appreciate your assistance with getting classes arranged and making it EASY! The instructor did a great job of keeping people interested in the material and ran a great class. Probably the best CEU courses that I have taken. I look forward to working with you along the way for my next renewal. Thanks again!